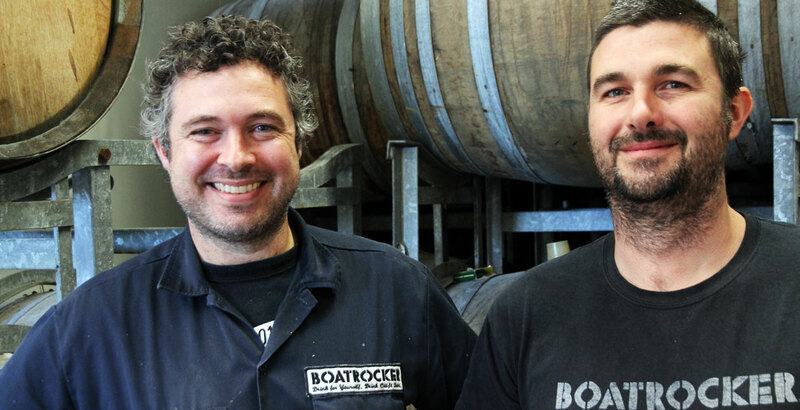 Before he'd even installed a brewery at Boatrocker's Braeside home, Matt Houghton (above left) had invested in several dozen wine barrels. Once up and running, one of the first beers he put through the brewery was to form the basis of a lambic style sour beer. That beer, plus a second batch brewed a year later, are still developing inside oak in a cool room ready to be blended at some future point when Matt and fellow brewer Matt Inchley (above right) deem them ready. You can surmise a few things from this. They're thinkers and planners. They love working with barrels and have a soft spot for Belgian style sours (Matt calls his lambics "pseudo lambics" given they're not brewed in the Lembeek region of Belgium). And they're willing to be patient. Since switching from contract brewer to brewery owner, while Boatrocker's core hoppy beers with which the brand had been established – Alpha Queen, SMASH, Hop Bomb – have got better and better and make up the vast majority of the brewery's sales, for many beer lovers it's been their work with barrels and bacteria that have caught the eye. Among many interesting and frequently high quality releases, two in particular have found favour: the Chardonnay barrel-aged Berliner Weisse Mitte and the Starward whisky barrel-aged imperial stout Ramjet. They're the sort of beers that take time to create only to be snapped up as soon as they're released, requiring their admirers, like Matt, to be patient. However, in news that will have many throughout Australia rejoicing, recent developments mean less patience will soon be required as we'll be seeing a lot more of such beers. To wit: Boatrocker has started construction of a dedicated barrel room and bar. In six weeks, they hope to open the venue in a large industrial unit across the road from their brewery in Braeside (population 0). Inside will be a cool room serving a 15-tap bar (decorated with pink flamingo wallpaper). Lining one side wall, the back wall and either side of the cool room will be 6m tall racks stacked with barrels. 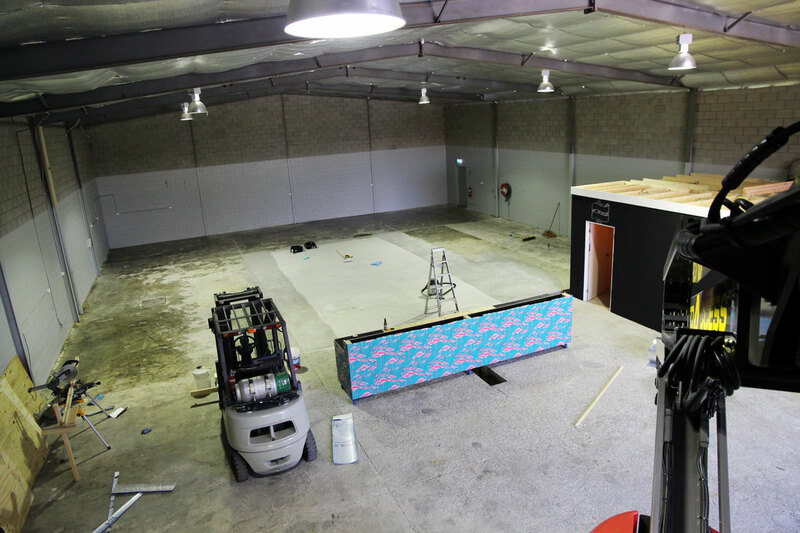 To the other side will be a dedicated packaging area for sour beers, while the venue itself is licensed for 100 people and is set to be open, initially, from Thursday to Sunday. As for the size of the barrel program, Matt hopes to end up with 350 at the venue (below right – just imagine it with lots of stuff in it...), giving him a capacity of approximately 75,000 litres in oak at any time, not including any barrels that will stay in the brewery. And as for how this relatively small microbrewery still in its infancy is able to take this step: well, they've got some serious help at hand. Literally. Made By HAND, a business made up of the group that launched Little Creatures / Little World Beverages – Howard Cearns, Adrian Fini, Nic Trimboli, David Martin – has taken a 33 percent minority share in Boatrocker and is helping advise the team, which now includes Brett Matthews, a longstanding home brewing buddy of Matt's. "Brett had wanted to get into beer and knew Howard through the wine game so lined up a meeting with them in Fitzroy last October," says Matt. "I brought along every beer we'd ever made and they [Howard and Nic] tasted everything from sour to IPA and pale to Sterk & Donker, Banshee and Ramjet and really liked what we were doing." 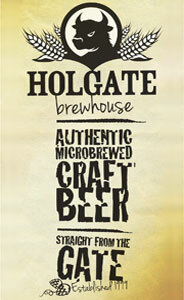 It proved an eye-opener for the pair whose previous brewery had been built upon more approachable beers. "Nic and I had never been fans of high alcohol beers and would fight with the brewers [at Creatures] when they went into that territory," recalls Howard. 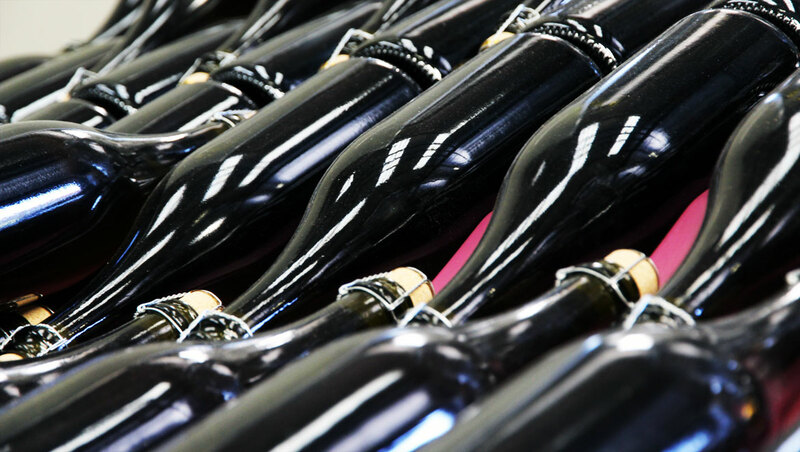 "We were confronted with these big bottles that Matt had brought along and wobbled out of there a couple of hours later saying, 'I hope that's not going to happen too often!'. "[As we walked along Smith Street] Nic turned to me and said, 'He knows what he's doing.'." And so the wheels were set in motion. In terms of Made By HAND's involvement, other than financial support, it's in the form of advice, with the four taking a predominantly passive role. "Matt will call if he wants to chat about something," says Howard. "It takes difficult decisions when you're growing. You have to figure out what you do and don't do and we've been down that path." Made By HAND's most recent path has taken them into the hotel business. The Alex Hotel in Perth will open in a few weeks and is styled as a "craft hotel" while Howard is really happy with the vodka from their distillery, Hippocampus. He believes that, through sourcing their own wheat, mashing it themselves and getting every stage of the process right, they've created a spirit with "an interesting character that you can sip" with which they're "doing something with vodka that I don't think people would expect you can do." Having now returned to beer, albeit in a lesser role than at Little World Beverages, he says they're excited to be involved in the fast-changing industry once more. "It's amazing," he says. "I love it. It's crowded, there's a lot out there and it's amazing how out of touch you can become in a couple of years as it's going so fast. "It's good fun. It's young – you've got to have that energy – and it's nice to see other people having a crack." Among them, of course, his new business partners. "We wanted to make sure the fit was right; we didn't really want to go into it ourselves again," he says. "It was about backing someone or being part of something. In conversations, I was sensing that Brett should make some beer rather than continue down his wine path [and when] we met Matt I was really impressed with his beers. "They've demonstrated they can do the hop driven core craft stuff well [and] the farmhouse, barrel-aged sour story that Matt's started to bring to life – we've seen what's going on in California in that space and that shows where it can go." With the deal sealed, the first step has been to embark on the barrel room. But there are other changes too. A second line of beers bearing the name Big Love has been launched. The name is Brett's but the first beer released under the banner is the beer formerly known as SMASH now rebranded as the Big Love Suburban Pale. A Suburban Red, based on one of Brett's recipes, is imminent, with both set to appear with tap decals built by Rain Gidley (who we featured a few weeks ago). Other than the Big Love beers, there are a few more Boatrocker specials on the horizon. Following the release of Banshee, the barrel-aged barley wine debuted at the Good Beer Week Gala Showcase, there will be a brett barrel-aged Belgian tripel called Adventus (partly because it was originally scheduled for release last Christmas) and an eight percent-ish sour saison which has spent time in oak and is now conditioning in bottle (see above right). 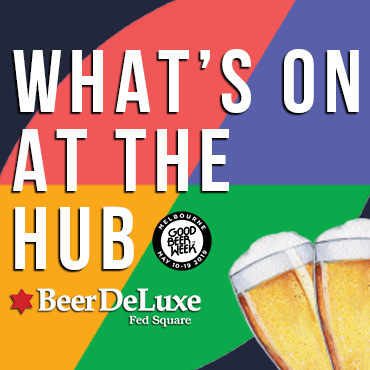 There's talk of more Berliner Weisse, lambics, a bourbon barrel-aged Belgian quad, Oud Bruin, Flemish red... essentially, more of what got Matt into beer in the first place. Then, in a couple of years there will be a Ramjet Ramjet. The barrels used for the first Ramjet have been returned to Starward and filled with spirits to create a Ramjet whisky. When this has been bottled, the barrels will go back to Boatrocker to be used again for a beer Matt believes could be the first of its kind: a whisky and imperial stout and whisky barrel-aged imperial stout. The standard Ramjet is the beer that has helped Boatrocker take out three straight People's Choice trophies at Good Beer Week Gala Showcases, of which Matt says: "It's nice that people are really enjoying a beer like that. "There's a lot of expectation for each vintage and we've got more in tank already as we got these barrels early." With several hundred more barrels to follow, expect that expectation to keep on rising. And, with White Rabbit last week announcing its own barrel room in Geelong, expect the current tide of sours to keep on rising too.